For many, meditation is something reserved for celebrities, monks, and people with an evangelistic love of quinoa. They have heard people describe it as being beneficial, but often, the thought of sitting cross-legged on the floor while listening to whale music seems anything but. Sound familiar? Probably. A recent study by The Mental Health Foundation found that only 26% of people in the UK have ever practised meditation, and only 14% claim to meditate on a regular basis. Even GPs are reluctant when it comes to meditation; the same study finding that 75% of GPs believe they have prescribed anti-depressants to patients who may have found alternative therapies to be a more suitable option. Although many remain hesitant, the number of people meditating is on the rise. This is particularly true in schools, where meditation has been found to reduce stress, improve concentration, and even help in the treatment of long-term mental illnesses. The growth in popularity of meditation in society comes as no surprise to the campaigner, who has been promoting simple meditation techniques, such as controlled breathing, for decades. Although Bowers often felt ignored when setting out on his campaign all those years ago, there are now professionals in a range of fields arguing for more of us to take up meditation. Dr. Elena Antonova lectures Psychology and Neuroscience at Kings College London, and has carried out extensive research into the effects that meditation can have on our wellbeing. She believes that the practice of meditation can bring huge benefits, both professionally and personally. Matthew Kynaston, 27, is a London-based Marketing Executive. He decided to take up meditation two years ago, when he began struggling with stress and anxiety brought on by his job. It wasn’t until Kynaston went backpacking some months later, and enrolled in a meditation retreat in order to gain access to the free food and accommodation, that the benefits of meditation became clear. There are various approaches to meditation that, as Matthew’s experience demonstrates, can have varying degrees of success from person to person. 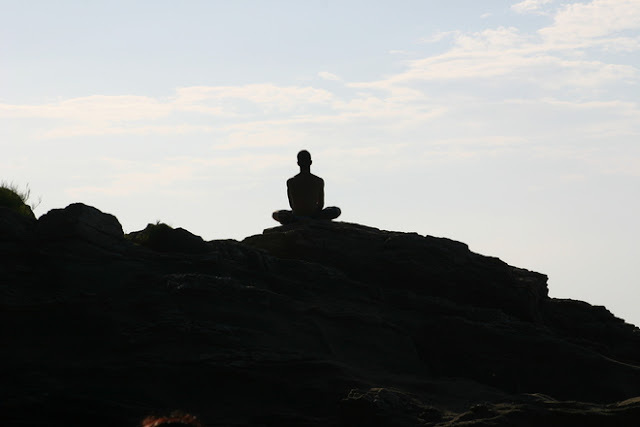 Joe Krohn, from the London Buddhist Centre, believes that although taking up meditation alone can work for some, a deeper understanding of meditation is sometimes needed for the practice to seem beneficial. Lack of tuition before meditating is something Krohn believes can lead to unsuccessful results, and may be the reason so many believe meditation to be nothing more than a fad. As Krohn highlights though, meditation recordings do work for some and can often be a great place to start. Bryony King, 29, is a Political Caseworker from Leeds. She turned to meditation when she began having trouble sleeping, and found meditation recordings particularly helpful when trying to incorporate the practice into her own life. Despite what many may think, a collection of scented candles, and a tranquil spot on the side of a mountain range, are not in fact requirements when taking up meditation. Even the whale music is optional. All you really need is a spare few minutes. So why not give it a go? You never know, you might find it makes your life that little bit easier after all.